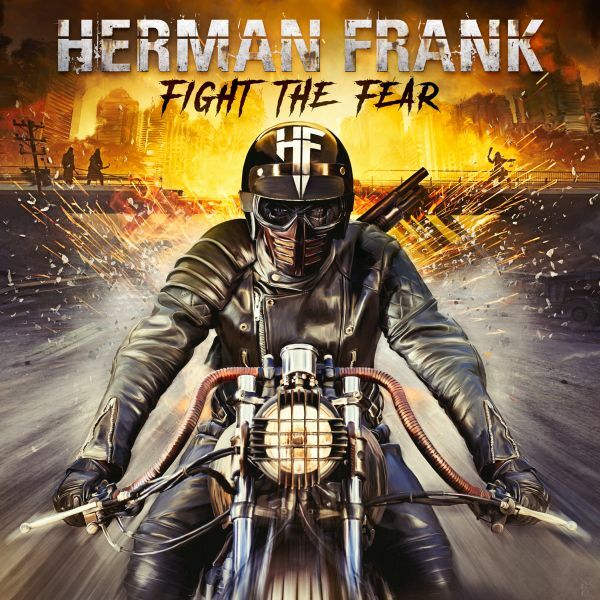 HERMAN FRANK [ACCEPT] - FIGHT THE FEAR LTD. EDIT. (DIGI) | Online Shop | Wizard LTD. Album: "FIGHT THE FEAR LTD. EDIT. (DIGI)"
"Fight The Fear” thrills with Herman&apos;s guitar attacks, killer riffs and outstanding, powerful vocals with good hook lines and catchy choruses. A Teutonic Metal fireworks as it could not be better! Introducing Heavy Metal veteran HERMAN FRANK to the crowd is just meaningless like carry coals to Newcastle. The guitarist has been an integral part of the German metal scene since the early 80s. From ACCEPT to VICTORY to his solo project started in 2009 and his work as a producer. With the first three albums "Loyal To None", "Right In The Guts" and "The Devils Ride Out", Frank and his comrades-in-arms are causing storms of enthusiasm in both the press and the fans. And the fourth album "Fight The Fear", cast in the same mold, will not change that. Together with MASTERPLAN front vocalist Rick Altzi, guitarist Heiko Schröder, former RAGE drummer André Hilgers and JADED HEART bassist Michael Müller, the musicians show that this is the perfect teamwork for a close-knit band instead of a mere one-man show of the name giver. With razor-sharp riffs, sublime, hell for leather solos, consistently delivered high-class vocals between melody and heaviness, and a rhythm section, that drives every single song forward like a clockwork, HERMAN FRANK presents a flawless metal album, without even a single second of boredom. The opener "Until The End" goes like a train and sets the pace, "Terror" is a top-notch stomper, whose sinister groove fits perfectly with the lyric´s mood, "Hail Row" takes a breather, shortly afterwards it gathers speed and no prisoners are taken, until the ballad "Lost In Heaven" is enough to make a stone cry.